One of her early claims to fame was saddling Self Defense, a 6-year-old novice having just his fifth start over hurdles, to finish a never-nearer fourth, at 100/1, in the Champion Hurdle in 2003. Other notable winners Emma sent out from her previous base, in Hatherden, near Andover, Hampshire, included Crackaway Jack in the Fred Winter Juvenile Novices’ Handicap Hurdle in 2008 and Pause and Clause in the Martin Pipe Conditional Jockeys’ Handicap Hurdle in 2010. 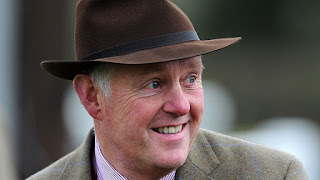 In the early summer of 2016, Emma and her husband, former jump jockey Barry Fenton, who now fills the role of assistant trainer, moved into the Bonita Racing Stables, near Marlborough, Wiltshire, following the retirement of former occupant Peter Makin. At the time, Emma said, “We’ve always rented our present place and this was a fantastic yard that came on the market, so it’s very exciting times”. 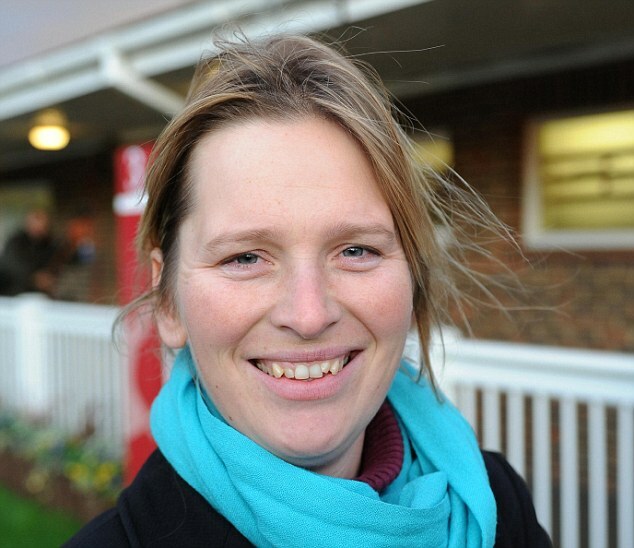 Her initial optimism was not misplaced, because in 2016/17 she saddled a total of 35 winners – compared with 19 in the last of her 17 seasons at Hatherden – and amassed £373,745 in total prize money. She’s enjoyed a good start to 2017/18, too, with 24 winners and £279,987 in total prize money, with the Cheltenham Festival and the Aintree Grand National Meeting still to come. Prestbury Park in March is also on the agenda for Paisley Park, a half-brother to Enniscoffey Oscar, despite being beaten in a novices’ hurdle at Doncaster in February. Paisley Park had previously been beaten just a length by the hitherto unbeaten Mr. Whipped in the Ballymore Leamington Novices’ Hurdle at Warwick. Emma remarked afterwards, “Paisley Park is a lovely horse. He was just probably slightly too green. They went quick down the back and he has never jumped that fast before in his life. He galloped his little heart out down the home straight.” She added, “If I said what would be the ideal race to run him in, it would be the Albert Bartlett”. Having ridden 160 winners during a 10-year career as a professional jump jockey, famously started his training career in 1985 with half a dozen horses he kept in a cowshed. Nevertheless, his first runner as a trainer was a winner and his Sandhill Racing Stables in Bilbrook, near Minehead, Somerset has subsequently sent out over 2,500 winners. Hobbs sets himself the target of 100 winners and £1 million in prize money each season, something he achieved with plenty to spare in 2016/17. In fact, aided by reigning Champion Jockey Richard Johnson, who’s been first jockey at Sandhill Racing Stables for 17 years, Hobbs has been in the top half a dozen National Hunt trainers in the country for the past two decades. Philip Hobbs has saddled many notable winners during his career, but perhaps the most famous was Rooster Booster, a grey gelding by Riverwise, who gained his biggest successes in the yellow-and-black colours of Terry Warner. Originally trained by his owner, Richard Mitchell, for whom he’d won a maiden hurdle at Taunton, Rooster Booster joined Philip Hobbs in April 2000, but didn’t win his first race for the yard until two years later. That win, in the Vincent O’Brien County Hurdle at the Cheltenham Festival in 2002, was followed by five more the following season, culminating in an impressive, 11-length victory over Westender in the Champion Hurdle in 2003. In truth, with 18 Cheltenham Festival winners to his name, there are few Festival races in which Hobbs hasn’t tasted success although, of the so-called ‘championship’ races, the Stayers’ Hurdle and the Cheltenham Gold Cup remain elusive. Last season, Hobbs named subsequent Triumph Hurdle winner Defi Du Seuil as his best hope of a Cheltenham winner at an early stage and, although his stable star has run poorly on both starts in 2017/18, he has plenty of fresh talent in his yard. Potential ‘dark’ horses for 2017/18 include Duke Des Champs, who missed 2016/17 because of a tendon injury, Jerrysback, an impressive winner of both starts over hurdles and Musical Slave, who ran well in a ‘bumper’ on his debut at Punchestown last April and may have needed the run when well beaten on his reappearance at Market Rasen in November. At the time of writing, Philip Hobbs is only 13th in the trainers’ table, with 45 winners from 311 runners, at a strike rate of about 15% but, if previous seasons are anything to go by, followers of the yard should enjoy a profitable spring. 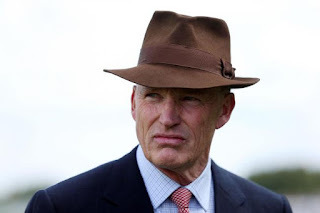 John Gosden OBE has been ensconced at Clarehaven Stables on Bury Road, Newmarket since 2006, but his career as a racehorse trainer, which stretches back to 1979, has taken him all over the world. He started as assistant to Vincent O’Brien, then Sir Noel Murless, then Tommy Doyle and has previously trained, in his own right, in California, in Manton, Wiltshire and at Stanley House Stables, a.k.a. Godolphin Stables, in Newmarket. Indeed, in 2012 Gosden won the Flat Trainers’ Championship for the first time, amassing £3.7 million in prize money, courtesy of horses such as The Fugue, winner of the Nassau Stakes at Goodwood, and Nathaniel, winner of the Coral-Eclipse. He won it again in 2015, thanks in large part to the exploits of Cartier Horse of the Year Golden Horn, who won the Derby, the Coral-Eclipse, the Irish Champion Stakes and the Prix de l’Arc de Triomphe before finishing second, beaten half a length, in the Breeders’ Cup Turf on his final start. Although unable to match the performance of Aidan O’Brien – who saddled a world record 27 Group 1 winners in a calendar year – in 2017, Gosden was fortunate to train another Cartier Horse of the Year, Enable, and the Cartier Champion 3-Year-Old Colt, Cracksman, in the same season. The former, who is a daughter of Nathaniel, won all five starts at Group 1 level, including the Oaks and the Prix de l’Arc de Triomphe, while the latter won the Great Voltigeur Stakes and the Prix Niel before an impressive 7-length win in the Champion Stakes on his final start of the season. In so doing, he became the first Group 1 winner sired by Frankel. Both Enable – who is rated just 2lb inferior to some of the best fillies since World War II by Timeform – and Cracksman remain in training in 2018, so jockey Frankie Dettori, who rode both horses last season, will inevitably have the unenviable task of choosing between them. One thing is certain, though; ‘Johnny G’, as Matt Chapman fatefully called John Gosden during the Oaks presentation, has plenty to look forward to in 2018. 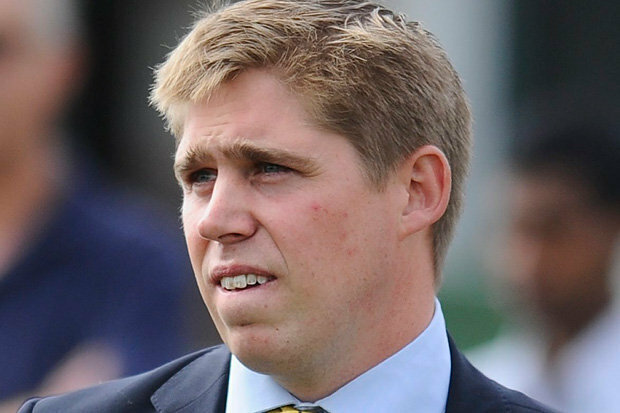 A quick look at the National Hunt Trainers Championship for 2017/18 reveals that Dan Skelton is currently in fourth place, with 130 winners and just over £1,166,000 in prize money. Not bad for a man who didn’t start training, in his own right, until the 2013/14 season. Of course, Skelton is the eldest son of former British equestrian, Nick, whom he acknowledges “has been an inspiration”, and learned his trade as assistant to multiple champion trainer Paul Nicholls. Nicholls arranged for several horses to be sent to him at Lodge Hill, Warwickshire, but Skelton Jnr hit the ground running as a National Hunt trainer, saddling 16 winners by early February in his first season, and hasn’t looked back since. In the 2015/16 season, he saddled over 100 winners – including his first Cheltenham Festival winner, Superb Story, in the Vincent O’Brien County Hurdle – and amassed over £1 million in prize money for the first time. He bettered both totals in 2016/17 and started the 2017/18 campaign in the best possible way with a double at Warwick on the opening day. However, he did say at the start of the season that the championship was “not within immediate reach”, although he is obviously keen to cement his position among the leading trainers in the country. Skelton has employed his younger brother, Harry, as stable jockey and Tom Messenger, a former professional National Hunt jockey, who retired from race riding in May 2016, aged just 30, as assistant trainer. Lodge Hill, formerly a working livestock farm, has been converted into a purpose built equestrian facility, with 74 boxes and modern training facilities, including a state-of-the-art all-weather gallop. Granted such foundations, not to mention the hard work and ambition of Skelton himself, the National Hunt Trainers’ Championship must surely not be out of reach for long. Saeed bin Suroor is the longest serving trainer for Godolphin, the international horseracing operation founded by Sheikh Mohammed in 1992. Formerly a member of the Dubai Police Force, he was first appointed in 1995 and, nowadays, splits his year between Al Quoz Stables on the outskirts of Dubai and Goldolphin Stables in Newmarket Suffolk. Bin Suroor made a dream start to his training career, saddling Lammtara to win the Derby, the King George VI and Queen Elizabeth Diamond Stakes and the Prix de l’Arc de Triomphe, Moonshell to win the Oaks and Classic Cliché to win the St. Leger in his first season. In 1996, he collected the 2,000 Guineas with Mark Of Esteem and, in 1998, completed the full set of British Classics, with Cape Verdi in the 1,000 Guineas. 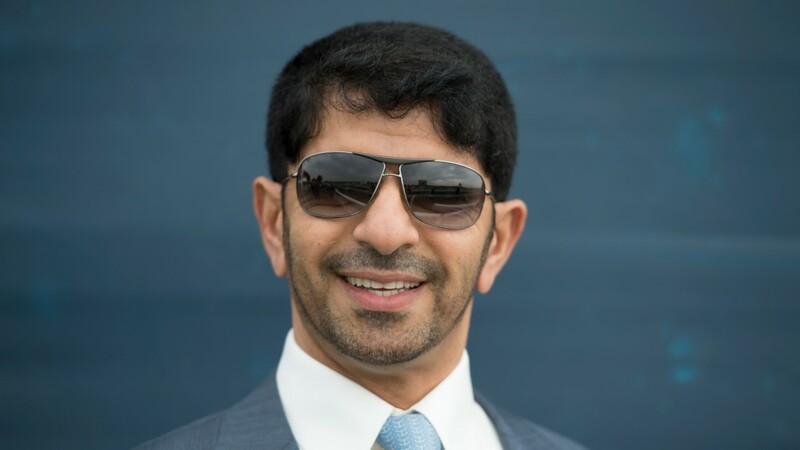 Fast forward two decades and Saeed bin Suroor, 39, has saddled over 2,100 winners worldwide. He has won the British trainers’ championships four times – in 1996, 1988, 1989 and 2004 – and his 180 Group 1 winners include 12 British Classic winners and seven Dubai World Cup winners. He has also won the Prix de l’Arc de Triomphe (three times), the Breeders’ Cup Turf (twice) and the Arlington Million. In 2010, out of the blue, Godolphin appointed a second Newmarket-based trainer, Mahmood Al Zarooni, to share responsibilities with Saeed bin Suroor. Despite assurances that Al Zarooni did not “pose a threat” to Bin Suroor, the former did enjoy far and away the better season in 2011. The following season, Al Zarooni won the Dubai World Cup with Monterosso and the St. Leger with Encke but, in 2013, was found guilty of administering anabolic steroids to 11 horses and subsequently “warned off” for eight years. Meanwhile, Bin Suroor saddled Colour Vision to win the Gold Cup at Royal Ascot in 2012 and Farhh – who’d been placed in Group 1 company five times in 2012 – to win the Lockinge Stakes at Newbury and, on his return from injury, the Champion Stakes at Ascot in 2013. At the time of writing, Saeed bin Suroor is enjoying a successful time at the Meydan Carnival, with seven winners from his 21 runners in the last 14 days. His recent successes include Thunder Snow in the Al Maktoum Challenge R2 and Promising Run in the Balanchine, both Group 2 events. Domestically, he’s also saddled three winners from seven runners, so far, in 2018 and has plenty to which to look forward when he returns to Newmarket in April.